SAN ANTONIO – Crews broke ground on a $20 million project at Port San Antonio that will include two new buildings spanning more than 200,000 sf. 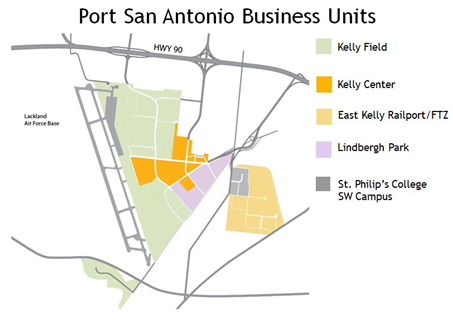 Port San Antonio officials plan to market the structures​—expected to be completed by mid-2018—to advanced manufacturers, logistics firms and other businesses. This latest construction is part of a larger development strategy that includes $150 million in capital improvements intended to drive more businesses to the 1,900-acre site, which was formerly home to Kelly Air Force Base. The port currently has more than 8 million sf of commercial space in its inventory and is 90 percent leased. Port San Antonio plans to create 5,000 new jobs on its site by 2020. Click to see San Antonio Industrial Market Data.